We all have busy lives – work, school, family, and other obligations take up a huge chunk of our time. When we’re not fighting the rat race that is life in the 21st century, we usually just want to kick our feet up with a good book or our favorite TV show. While that couch can look pretty tempting after a ten-hour day, a two-hour commute, and a freshly-mowed lawn or well-prepared dinner, spending an extra hour or two every week helping out in our communities can reinvigorate the soul better than even the best night’s sleep. April is National Volunteer Month, and as enthusiastic volunteers ourselves, we urge each and every one of you to get out there and get involved in your communities. Many people think that in order to volunteer, they need to dedicate huge portions of their time, but just a few hours spent every week at a soup kitchen or coaching little league can make a major difference. Here are a just a few of the dozens of great volunteer opportunities in the Parkville community. Parkville Recreation Council: The Parkville Recreation Council is one of the largest in Baltimore County, providing countless volunteering opportunities, including the recent Easter Egg Hunt and several youth sports leagues. Angie Thuman, President of the Parkville Recreation Council, recently announced that the boy’s lacrosse program needs a new commissioner, and she is looking for additional soccer coaches. The Real People of Parkville 21234: This group is organizing their “2nd Annual Clean-up Double Rock Park” event, which will take place over the weekend of April 9/10. This is a great opportunity for parents to teach their children about caring for the environment while also spending a fun and productive day or two in one of Parkville’s hidden gems. Parkville Senior Center: Provides an opportunity to spend quality time with seniors, engaging in friendly conversation, playing fun games and activities, and keeping them immersed with daily life while making great new friends in the process. Friendship Outreach Center:  Originally began by Rev. Dr. Alvin J. Gwynn Sr. in 2004, the FOC seeks to provide clothing, food, friendship, and other resources to local people in need. Hiss United Methodist Church: Hiss Church seeks to make a difference in the community through outreach programs designed to aid the less fortunate and provide food and shelter for those in need. Baltimore County Public Library: Volunteers help instill a lifelong love of literacy and promote the pursuit of knowledge to help strengthen the promise and integrity of our communities through reading and writing. The Y (YMCA), Togetherhood Program: The YMCA’s Togetherhood program is designed as a fun and rewarding way to get involved in the local community through a number of service projects that are tailored to fit your unique skill set. Talmar Gardens & Horticultural Therapy Center (TALMAR): These beautiful organic gardens are supported by the local community and provide a wonderful way to get in touch with the majestic beauty of the outdoors. There’s also an occupational program designed specifically for veterans. The Children’s Guild: Since 1953, the Children’s Guild has focused on the needs of children who have experienced trauma and thus have developed emotional, behavioral, or mental disorders. In doing so, they provide education, foster care, and behavioral treatment for children living in Parkville and throughout Maryland. Seasons Hospice & Palliative Care: Hospice care involves helping those who have been diagnosed with life-limiting illnesses with integrity, optimism, and respect while also seeking to enrich and inform the lives of others. Seniors Helping Seniors: This program gives seniors the opportunity to play a significant leadership role by helping other seniors to discover, maintain, and increase meaning in their lives. Baltimore Humane Society: For animal lovers, the Baltimore Humane Society seeks to improve animal welfare, and gives people in the community the chance to build relationships with a wide range of animals while also enriching and improving their lives. Shine Foundation: The Shine Foundation is an organization that is dedicated to improving the financial situation of homeless survivors of domestic abuse through financial planning and career training. Believe in Tomorrow, Children’s Foundation: This program is committed to pairing critically-ill children and their families with hospital and respite housing in order to maintain stable living environments that promote healing and wellness for everyone. Health Care for the Homeless: As the name implies, Health Care for the Homeless is an organization that attempts to provide quality, effective health care treatment in a holistic fashion that includes housing and nutrition. Habitat for Humanity of the Chesapeake: The Chesapeake chapter of Habitat for Humanity fulfills their spiritual mission by building homes for the impoverished, the displaced, and the uprooted. BARCS : Baltimore Animal Rescue and Care Shelter: BARCS accepts more than 11,000 animals every year from dogs and cats to exotic wildlife, giving them a second chance at life after being abandoned or left for dead. Everyman Theatre: This innovative theatre group performs classic and original works that seek to expose the truth and beauty of humanity, and they are looking for interested ushers to enhance the audience’s experience. If you or a family member or friend are looking for local volunteer opportunities, please contact our law offices today at (410) 661-9440 or visit us online. We are proud of the positive impact we have throughout our community, and we would love to connect you with a volunteering opportunity or explore networking options with you regarding a charitable endeavor. Additionally, if you or someone you know has been injured as a result of another party’s negligence, our skilled and experienced attorneys are here to help. We specialize in personal injury and workers’ compensation and have assisted many people achieve just financial recovery for their injuries and damages. Please submit the form on this page or give us a call at (410) 661-9440 to receive a free consultation. 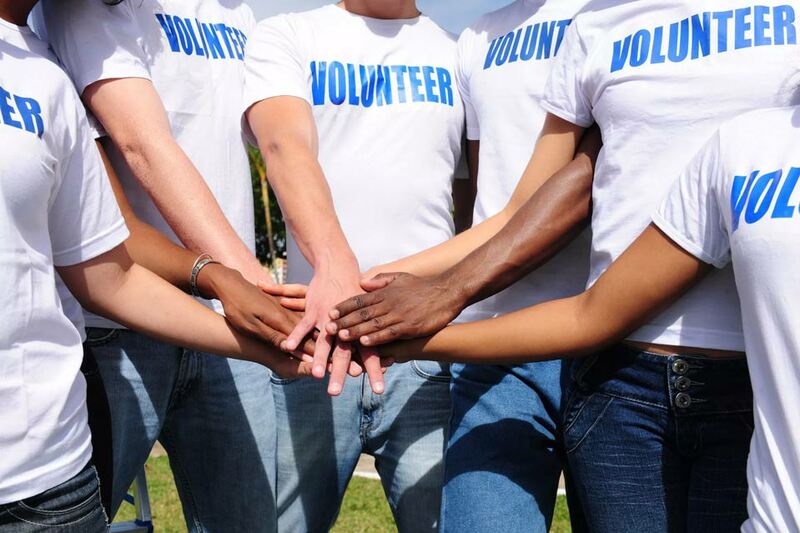 Above all, we wish you a happy and eventful National Volunteer Month. We can’t wait to see everyone out there giving it their all for our vibrant, thriving community! The information provided in this website/blog is provided for informational purposes only, and should not be construed as legal advice on any subject.